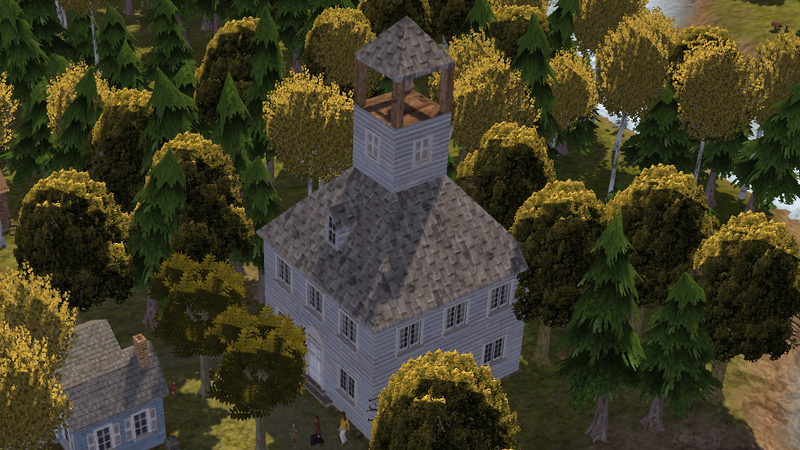 A minor update which fixes the pasture. Now it is free to build and transparent. If you already have a pasture and update - It will crash!!! These are a collection of small and large houses made for The Pilgrim. They are wood houses but a little bit warmer than the original wood house. 5 people in the small and 8 in the large. No iron needed. Meeting House (Town Hall without nomads). 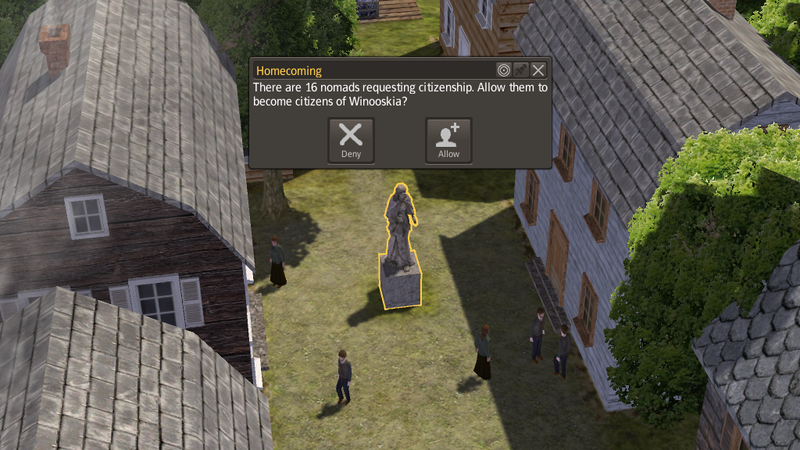 A Statue for attracting nomads and a Lodging House. The Lodging House can house 4 families with 5 persons in each. I have resources from NMT and CC to make it possible to have a little variation. but no conflict since I have not changed resource names. Here is a small file so the vanilla barn stores non-edible food. It will conflict with anything that changes the vanilla barn! I think CC and NMT already have this included. Version 1.22 - Added tanypredator's New Flora resources. you have to use her mod too. Or trade for them. You need her mod if you don't want to trade for the flax. Version 1.5 - No New Flora resources any more. 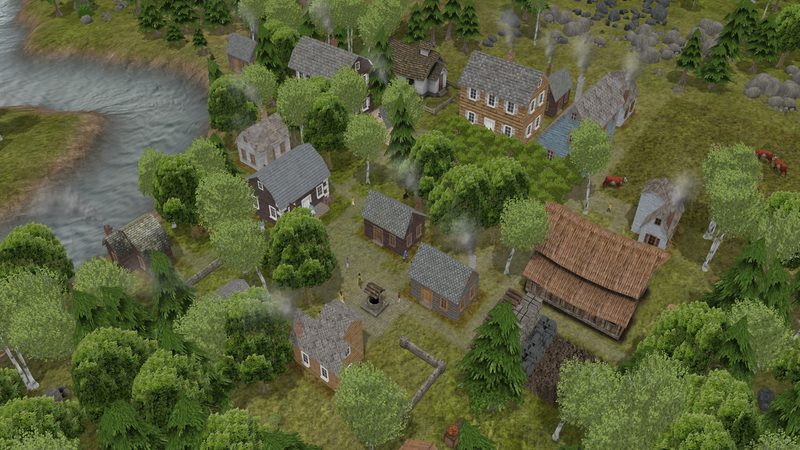 Added General Store (market) and Hospital. Version 1.51 - CC oats are back. Flour from oats. Sugar cookies from flour and sugar. 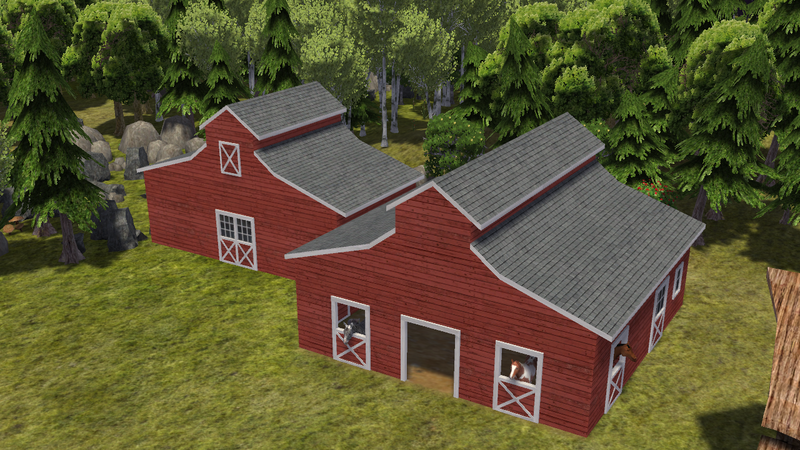 Version 1.52 - Added Barn and Stable and a fenceless pasture. Barn 10000 storage, all the vanilla goods plus inedible food. Stable 8000 storage, same goods as the barn plus CC material. 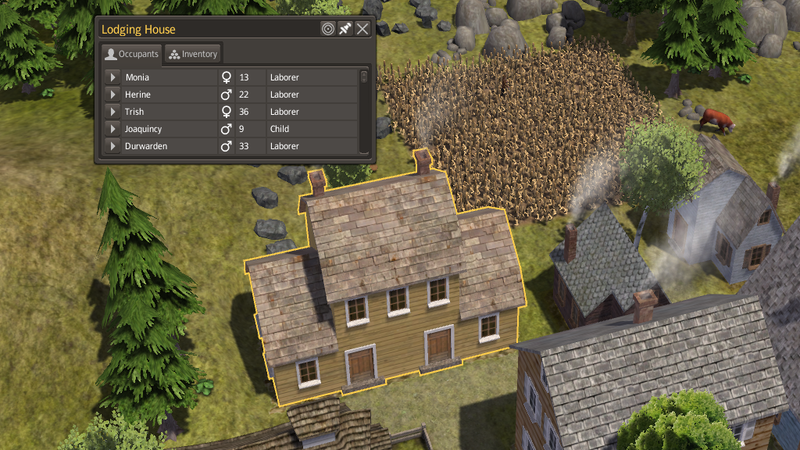 Version 1.53 - Fixed the size of large houses. 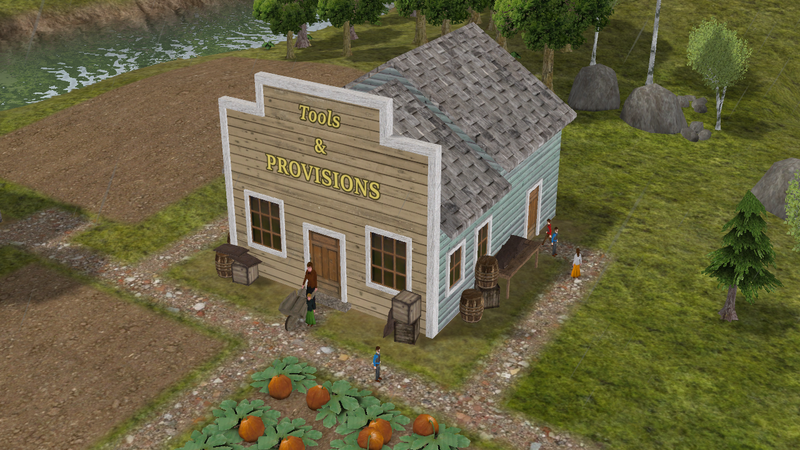 Added small trader (trade port). Version 1.53 fix - Fixed pasture to be free to build and transparent. - Flour from oats. Sugar Cookies from flour and sugar. - Changed footprints to be less yellow/green. 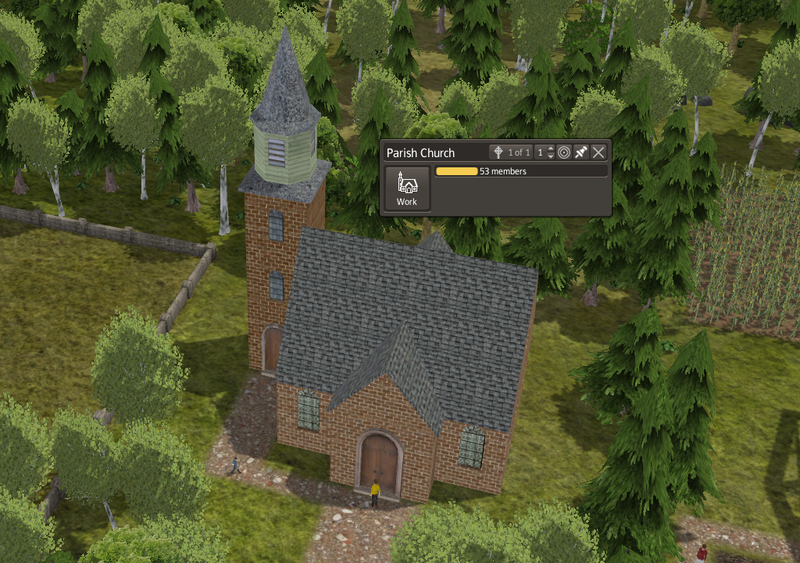 - Fixed red tiles when placing church. 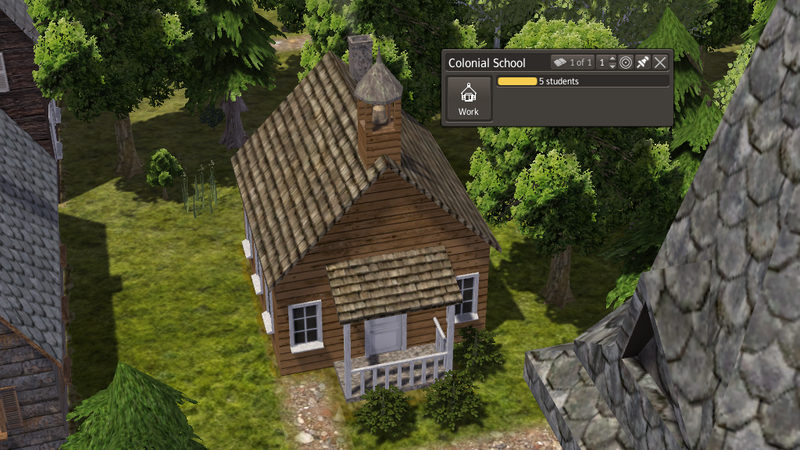 All buildings gathered under one button on main menu.